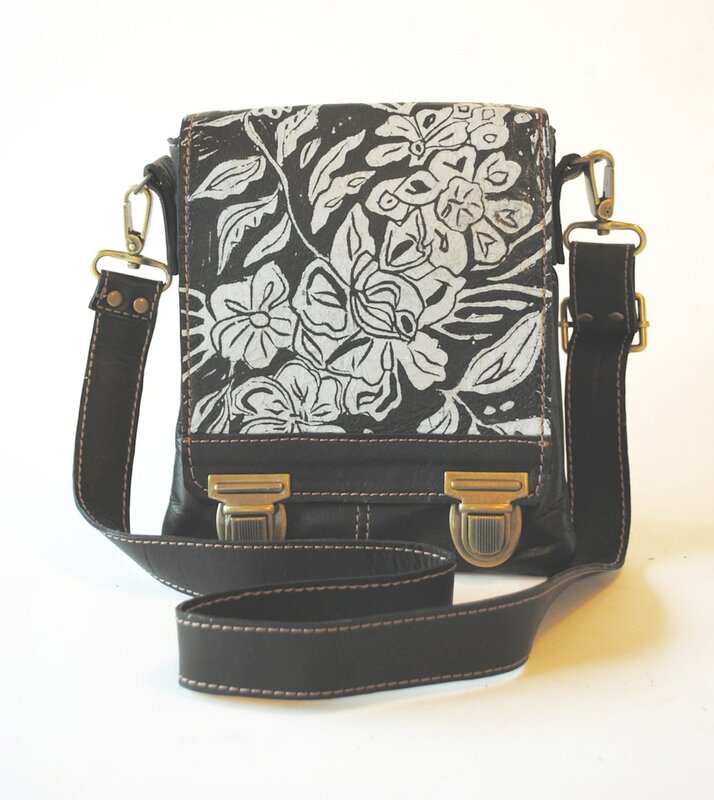 Small leather crossbody satchel in black with wildflower print. The Leeds crossbody satchel is made to hold the essentials. 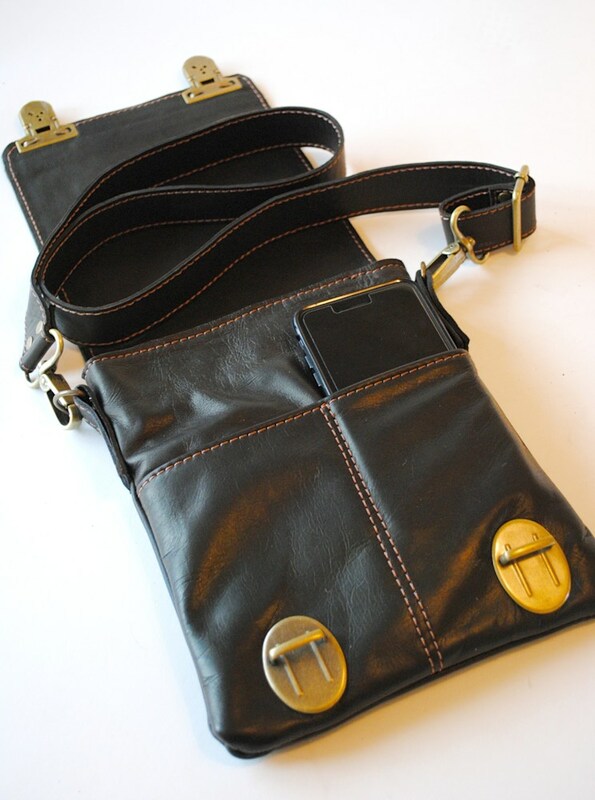 It is made from buttery soft espresso colored leather and has two outer front pockets located just under the flap, perfect for easy access to a phone or keys. 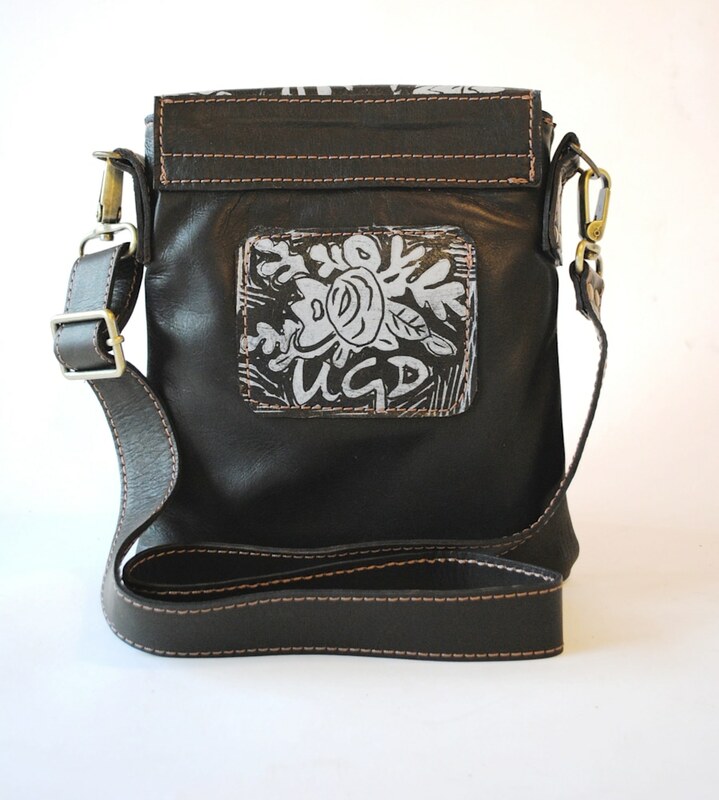 The body of the bag is fully lined and has one inner drop pocket and one zip pocket. 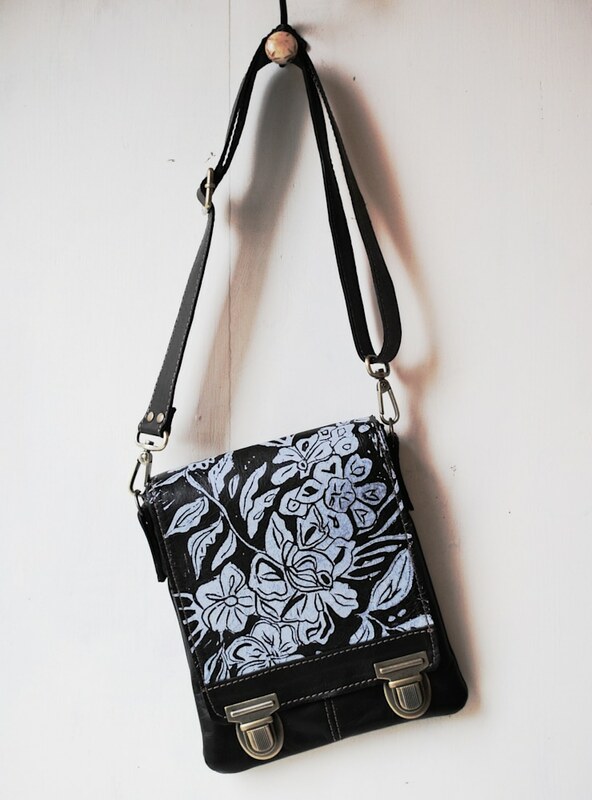 The adjustable strap can be worn crossbody or on the shoulder. This bag is made to order and will take 10-12 days to construct and ship.